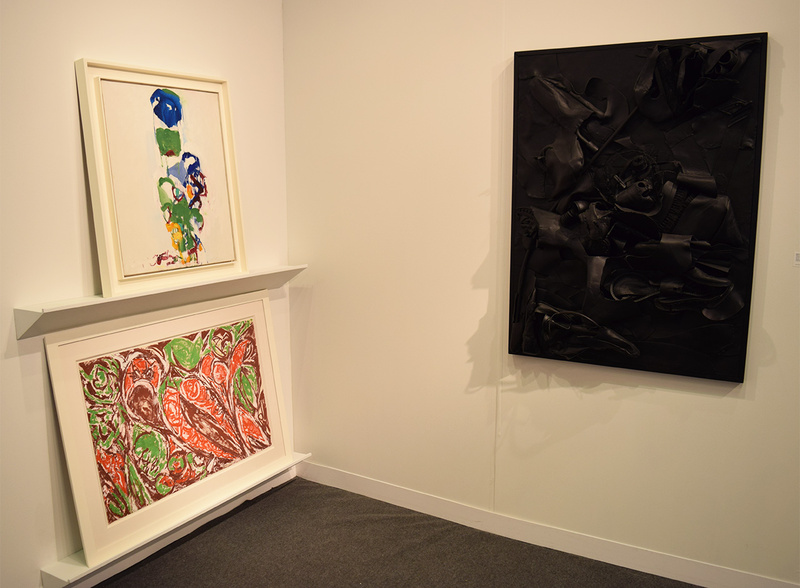 Indeed, on Pier 92 the prices are higher, the names are more repetitive and familiar — this year’s favorite is Frank Stella, presumably due to dealers cashing in on his recent Whitney Museum retrospective — and the installations more muted. This year a few gallerists went above and beyond to curate special presentations of one or two artists, thematic group shows, or, in one case, an ambitious overall installation. 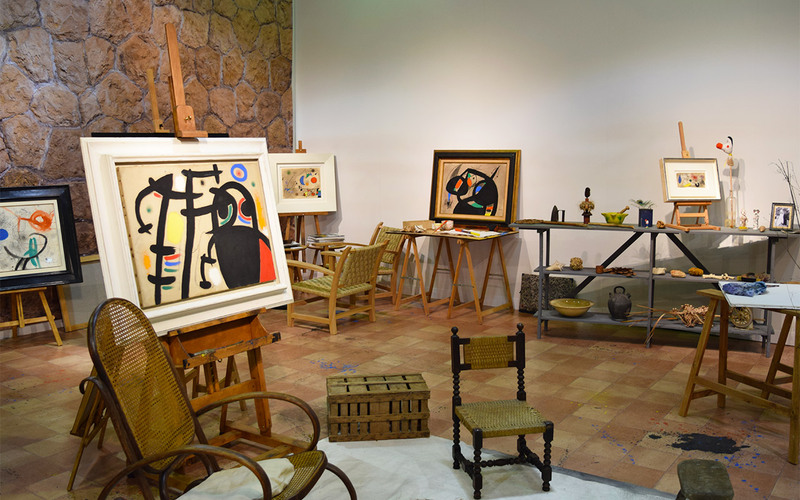 The latter is the first booth most visitors to the Armory Show’s Modern section will see, Barcelona gallery Mayoral’s large-scale re-creation of Joan Míro’s studio on the island of Mallorca. 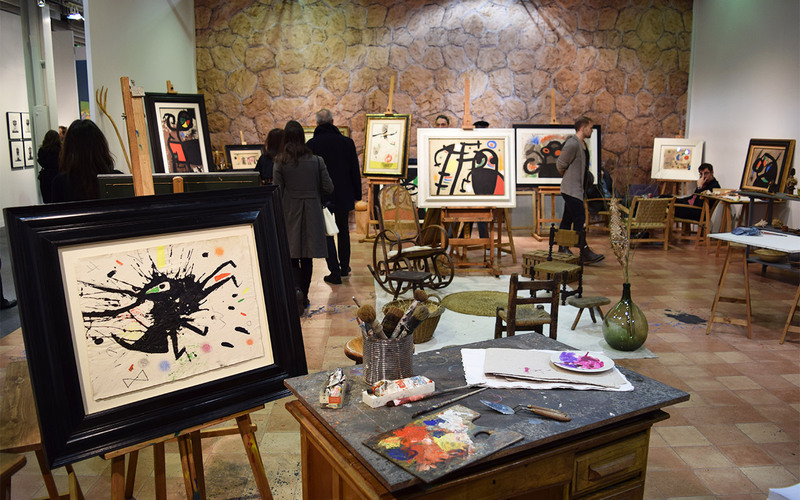 The attention to detail is impressive, as is the range of finished works, dating from the period he was using the studio, set up on easels amid all the stage design. 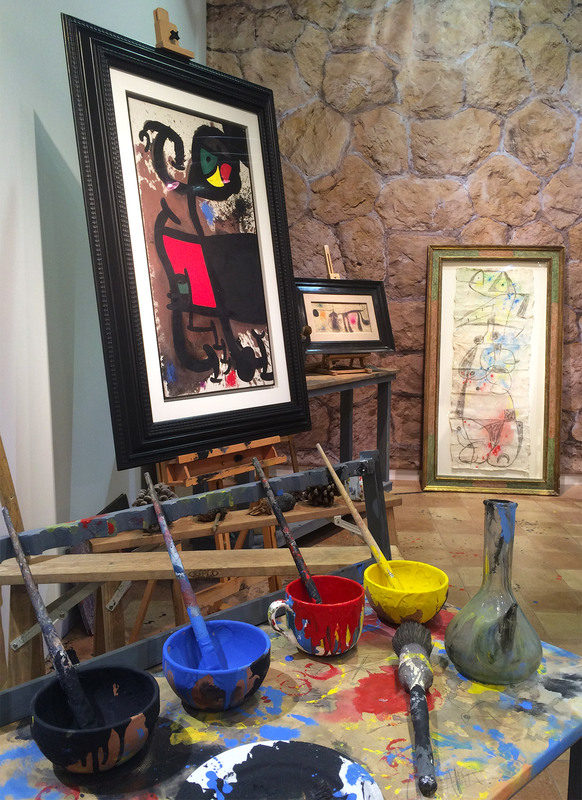 In addition to cups and palettes full of bright primary pigments, the installation includes Míro’s own mood board of inspirational clippings — among them a picture of Picasso and a photograph of a beach — a tile floor splattered with paint, and, on one work table, what looks like a large, blown glass bong. I don’t know that it taught me anything new about Míro or his process, but it sure is fun to poke around. 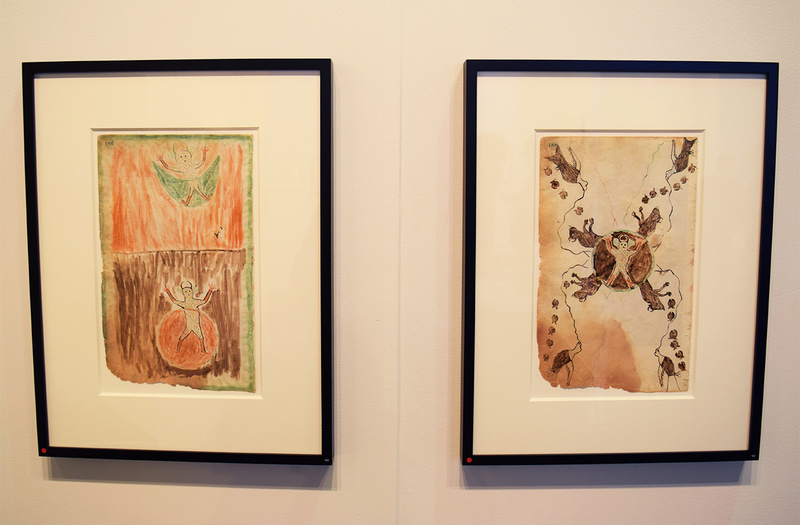 A little way down the pier, Michael Rosenfeld Gallery‘s booth is devoted to women artists. 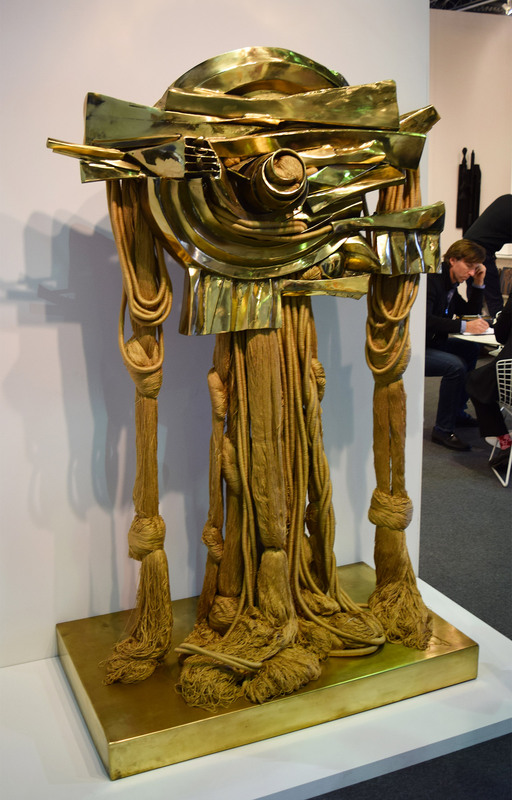 A towering, glowing bronze sculpture draped in silk ropes by Barbara Chase-Riboud stands sentry at the entrance, while radiant works by Joan Mitchell, Lee Krasner, Ruth Asawa, and Alice Neal await beyond. 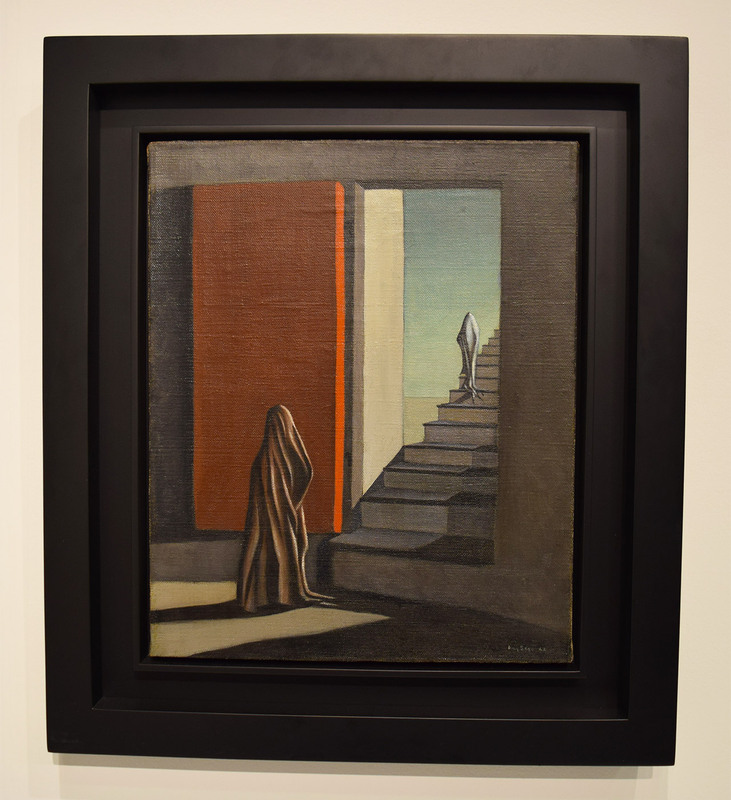 A personal favorite is a small Surrealist work that, not realizing the booth’s theme, I assumed to be by Giorgio de Chirico. Kay Sage’s “The Fourteen Daggers” (1942) is a delightful and enigmatic painting that seems to meld elements of de Chirico, René Magritte, and Edward Hopper. 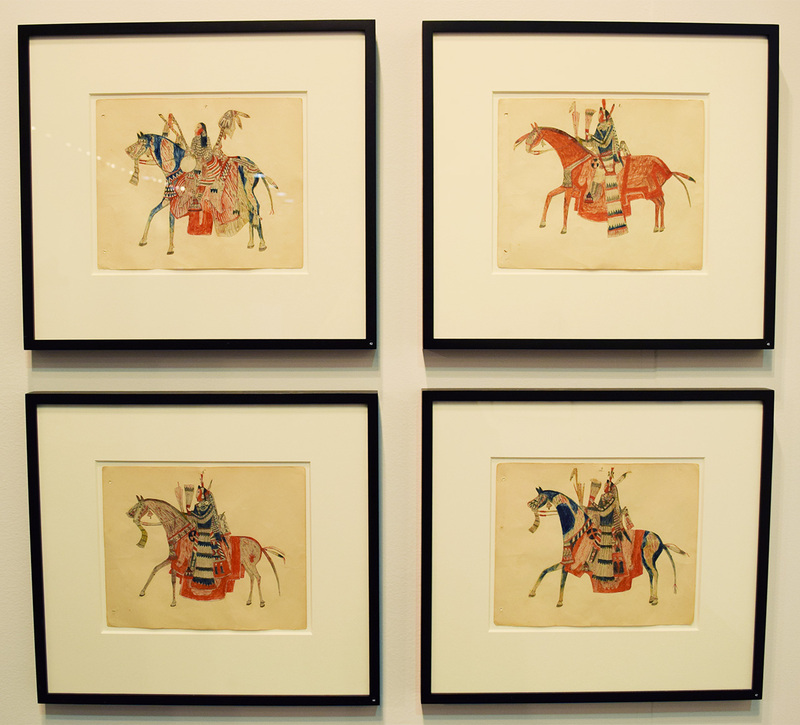 The Armory Show – Modern’s most surprising stand may be that of New York’s Donald Ellis Gallery, which is devoted to a historic exhibition of ledger drawings by Native American artists of the Great Plains from the last 35 years of the 19th century. 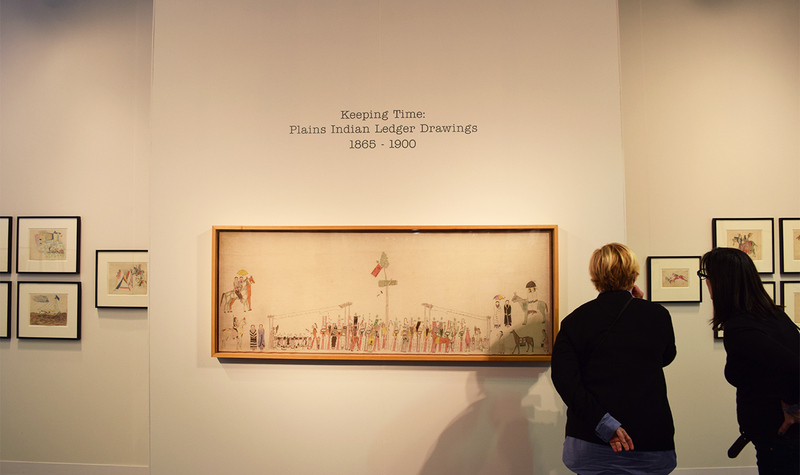 In addition to smaller renderings of ceremonial scenes and warriors in ornate costumes, the centerpiece of the show is 66-inch-wide painting by a Lakota artist depicting a sun dance (c. 1895). Its cast of about 50 figures, each rendered with great attention to the details of ceremonial garb, is fascinating to peruse. 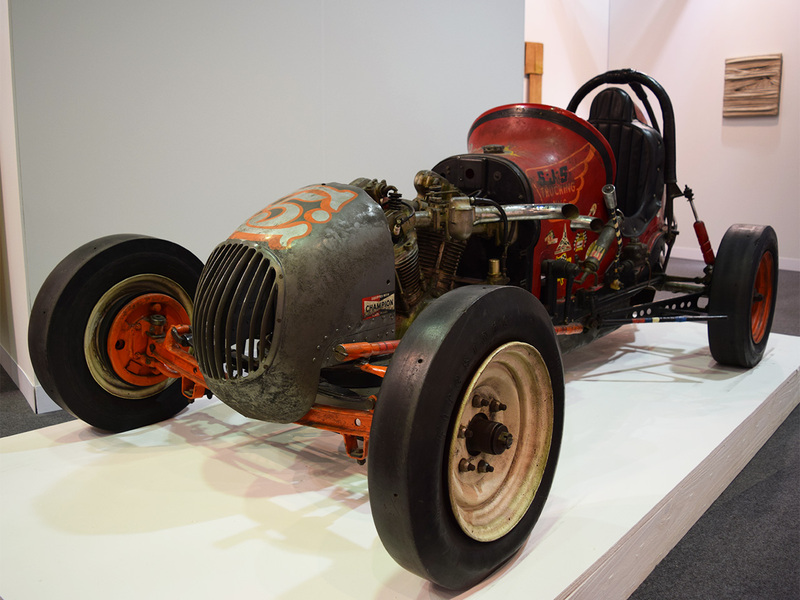 The most striking single object at Pier 92 this week, however, may be the Salvatore Scarpitta race car at the center of Montrasio Arte‘s booth. 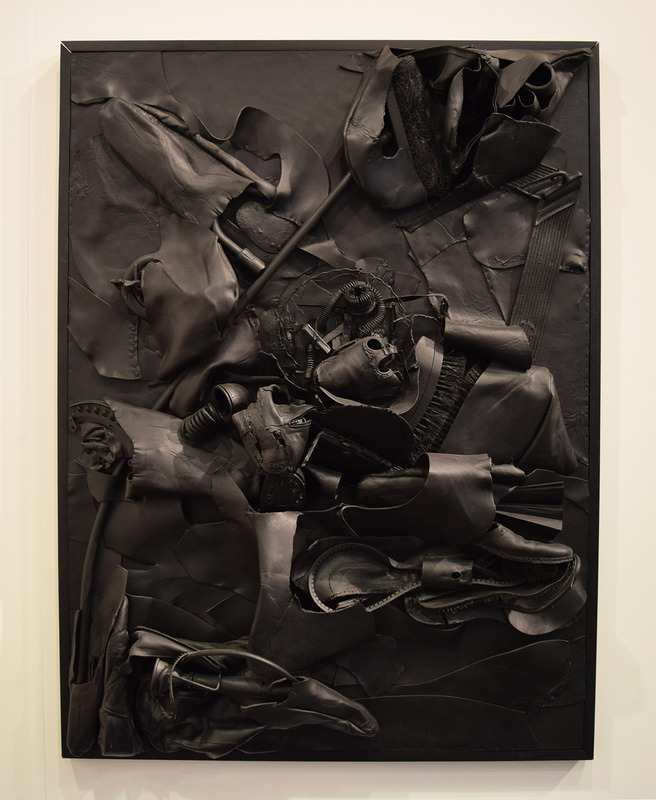 In addition to his abstract painting-sculptures of sliced and reassembled monochrome canvases — several of which are on view nearby — Scarpitta was known for his passion for racing cars; he even owned a racing team. The car, cutely titled “Sal’s Red Hauler Special” (1966/67), echoes the studies of movement and speed that informed his canvas works, which provide a kind of conceptual link between Futurism and Lucio Fontana. 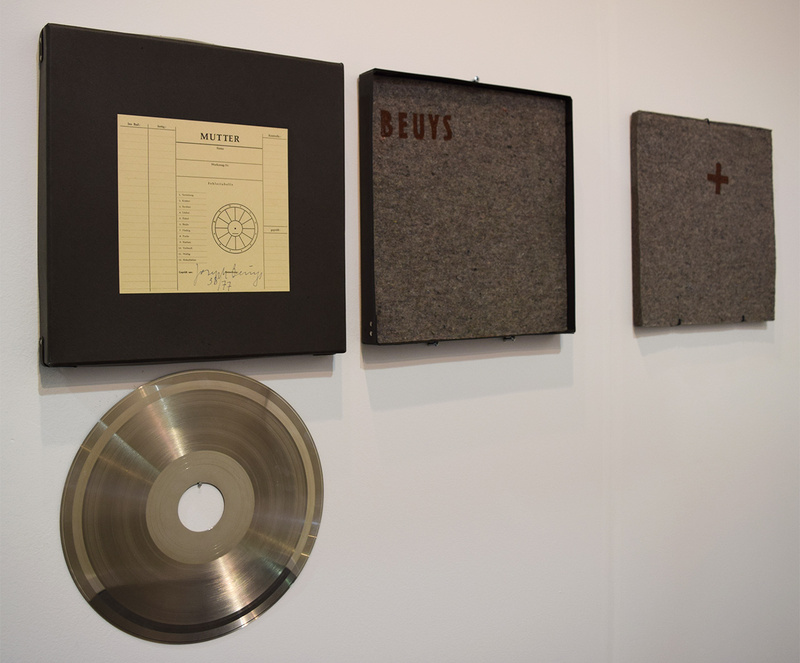 Scarpitta’s works are paired with several by Joseph Beuys, a combination that underlines how both sought to dissolve, in their own ways, the boundaries between art and the rest of human activity. 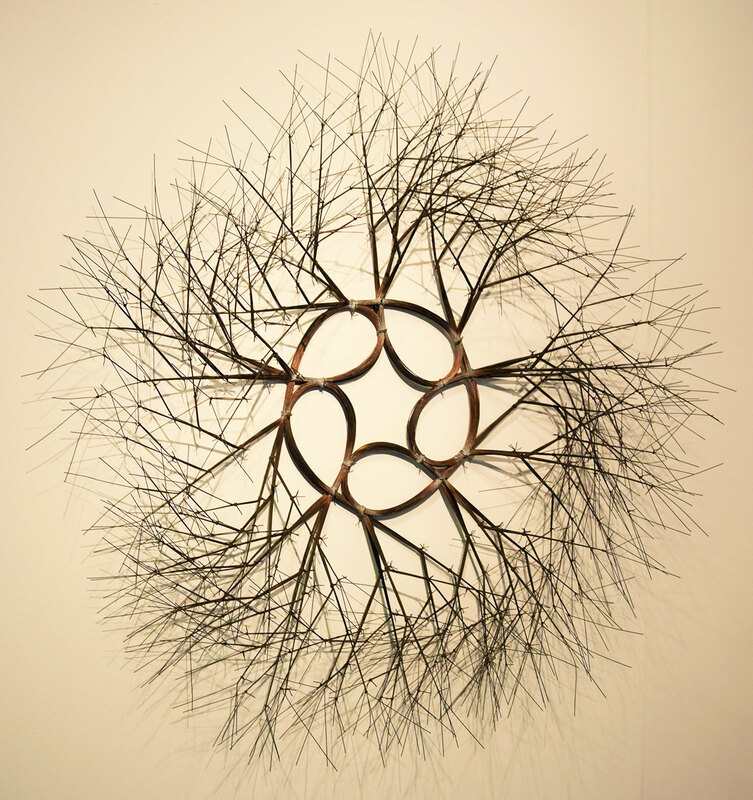 The 2016 Armory Show continues through March 6 on Piers 92 and 94 (West 55th Street at Twelfth Avenue, Hell’s Kitchen, Manhattan).